This chapter discusses and concludes the findings of the systematic review and narrative synthesis of the literature to address the low levels of engagement in a unionised environment. 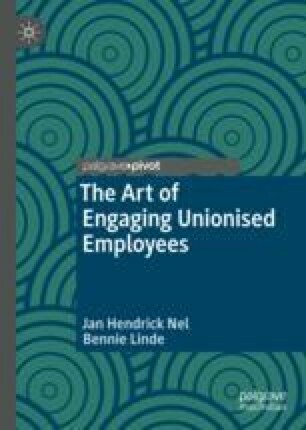 This chapter concludes that the replacement of the traditional adversarial approach with new management strategies has the most potential of raising engagement levels in a unionised context. The biggest challenge for organisations is to achieve sustainable employee engagement in a unionised environment due to the different expectations unionised and non-unionised employees have from employers. Our framework contributes to the engagement theory and practice in that it is the first conceptual framework to illustrate how antecedents, specifically applicable to a unionised environment, can foster and enhance employee engagement levels in a unionised environment.